These Printable Summer Reading Logs will encourage your kids to read through the summer. Includes two kinds of reading logs, book challenge, worksheet, and bookmarks! Summer is coming! Hurrah for longer, slower, lazy days. If you are like me you want your kids to keep on reading through the summer. School will be finishing soon, so it’s a good time to put together a summer reading plan. It’s also a very busy time of year, so you don’t want something that will take hours to prepare. 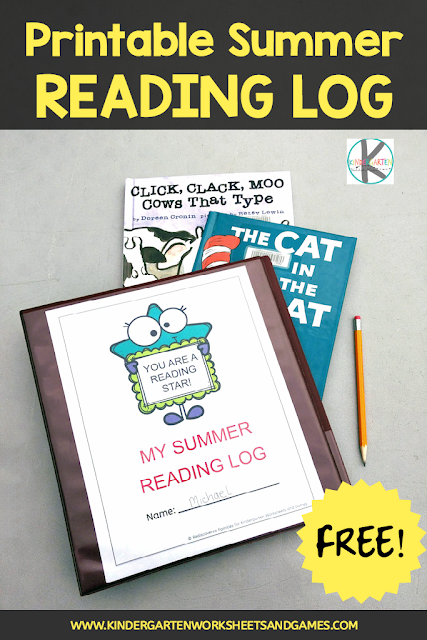 Check out these Free Printable Summer Reading Logs. 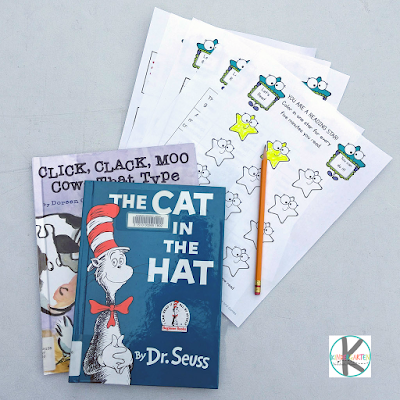 In this fun kit is everything you need to encourage your child to read this summer. 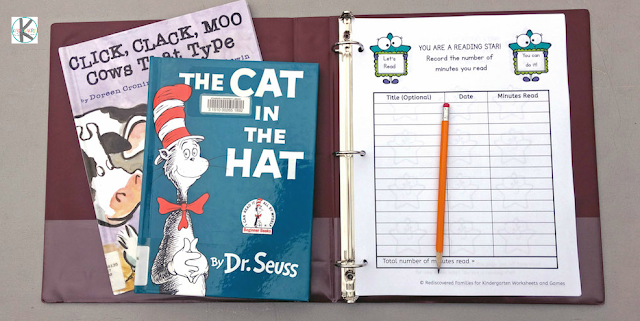 There are two kinds of printable reading log pages, book marks, a reading challenge, plus an easy worksheet to help kids record their favorite books! This log has been designed for Kindergarten and Grade 1 students, but could easily be used by older siblings as well. A reading log for kids who can manage simple writing. A simpler reading log for kids who are still developing their writing skills. A simple worksheet that encourages kids to choose their favorite book, describe it, and draw a picture to illustrate the best part of the story. 3 bookmarks: one that is ready to go, one for coloring and one that is blank for decorating. Download the Summer Reading Log printable using the link below.Print out the pages you want to use. I recommend printing bookmarks on cardstock and the rest of the pages on regular paper. Slip the front cover into the transparent pocket of a view binder. Punch holes in the left-hand side of pages 3-6 and place in a ring binder. Alternatively use a clipboard to hold everything together, or place the sheets in a file folder. It’s really up to you. For the reading challenge you need to decide how long you want your children to read before they can cross off a square. Fill out the numbers of minutes at the top of the sheet. I would recommend between 5 and 15 depending on the child’s age. Hint: You may want to choose some kind of reward if your kids finish a row. It could be anything from staying up late to a special summer treat. Finishing the whole sheet might warrant a special treat, such as a trip to a favorite theme park or to the local store to choose new book. Choose something that will appeal to your kids. Looking for some book recommendations? You will notice that we are recording minutes read rather than numbers of books. At the library we find that logging the number of books tends to encourage children to read below their reading level, so they can get through more books. Logging the number of minutes read allows kids to read books that are better suited to their reading level. It doesn’t matter if you spend 20 minutes reading a few chapters or go through 4 picture books. It is the number of minutes that count. This is particularly important if you have children all at different reading levels. A few more tips about reading in the summer. Check out 10 Effective Strategies to Keep Kids Reading in the Summer. Take advantage of free summer reading incentive programs. This is for personal and personal classroom use only. To share, please share a link to our site so others can download their own copy directly.